Incredible. Photos we'd probably consider avant-garde even today were being made right in the footsteps of Daguerre and Fox Talbot in the early 1840s. The book includes some of the amazing X-ray images made by Henri Van Heurck, Joseph Jougla, and the Viennese scientist Josef Maria Eder, all active in the 1890s. Really a gripping artistic counterpart to the excavations of the human psyche going on in Vienna around the time that Freud and Jung were getting their start. Van Heurck's 1896 X-ray photo of an ibis mummy looks like a sketch for a Klimt painting.Also enjoyed the early photos of lightning and electricity, and Louis Darget's images of dreams and thoughts. Darget wrapped sensitized photo plates in opaque black paper and stuck them on people's foreheads while they slept (or looked at celestial atlases... or played the piano while gazing at a portrait of Beethoven...) Dream-eagles and spirit faces, thought-sparks and planets with satellites emerged.Interesting to see both materialists and spiritualists use photography as a "scientific" method and medium here, at a time when the big debate about scientific materialism and the reality of the spirit was really taking off.Wild stuff, from both sides of the Atlantic. 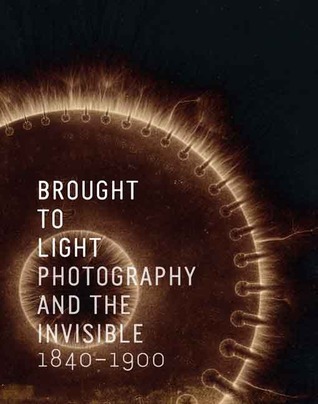 Examining the early history of photography, this book elaborates on the correlation between that media and science, especially when used in conjunction with telescopes and microscopes. It shows how the camera could be used to augment scientific study and, conversely, how science aided in the further development of the field of photography. There is also a look into x-rays and their influence on medicine and the public psyche. It is mentioned in the book that some people had an aversion to cameras as they felt the availability of the instrument to the general public was cause for concern for individual privacy. Can you imagine how those people would feel today when everyone with a cell phone can just click away at a moment's notice?Through the text and many photographs and x-rays from the mid-1880's to the first decade of the 20th century we get to glimpse how this new field enhanced knowledge. Beautifully presented prints from from an exhibit in San Francisco of early photographic images using the technology circa 1840-1900 to portray scientific subjects. There are sepia toned images of the planets and the universe, prints of snowflakes and diatoms as photographed through microscopes, famous motion studies and x-ray images taken of various objects including a six fingered man and the leg of a man complete with his boots.Subject aside, many of the prints are artistically provocative. I found it amazing to consider that in less than 20 years similar technology would be used to prove Einstein's theories using photographic evidence obtained during a solar eclipse.The essays included in the book provide their own kind illumination. this incredible exhibit was one that you couldn't go to only once and the book is as excellent of a documentation one can get without having an opportunity to to experience the breathtaking beauty of the show in person. Great book! Wonderfully written essays and beautiful plates; a must have for a photo history lover. The catalog from the SF MoMA exhibition of the same name.